Panhellenic Council recently passed some changes to sorority recruitment for this upcoming fall. 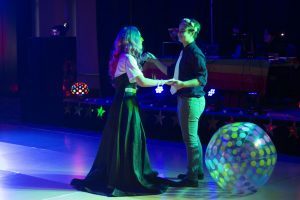 The major changes voted on last Sunday were the length of the first round, along with extending the amount of time chapters have to turn in their final bid lists. Panhellenic Director of Recruitment Samantha Scheeler said these changes were proposed to accommodate the new one-weekend recruitment, compared to year’s previous when recruitment was spread out over two weekends. Most schools using a two-weekend format are larger schools, such as the University of Illinois, who have many more sororities on campus. “We have re-evaluated our recruitment process to look at what is working and what is not working here, as compared with what other schools of a similar size are doing,” Scheeler said. Due to Bradley’s size, Scheeler said she believes changing to a one-weekend style should allow the recruitment process to run much more smoothly. The Panhellenic Council met twice prior to voting in order to discuss the changes with the recruitment chairs from each sorority. 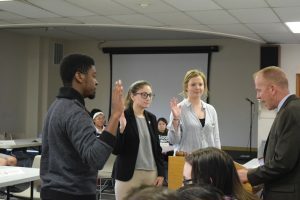 The chairs were then given two weeks to discuss them with their chapters before they voted on each individual rule this past Sunday at the Panhel meeting. Each of the amendments had to be passed by five of the seven chapters. The amendments that are now in place for next Fall are as follows: With recruitment being shortened to one weekend, the first round needed to also be adjusted to enable the activities to fit into one day. The first round is set at 30 minutes, compared to 50 minutes in previous years. House tours will no longer be during the first round, they will now be during round two. The times that the rounds will begin each day and the amount of time chapters have to turn in their bid lists were also established. There are a few other changes that can be expected for the upcoming recruitment process. The first being three to six minute presentations during preference round. Along with banners being allowed to be hung up outside during the weeks leading up to formal recruitment, however, they will not be allowed to be up during recruitment. This means the banners must be taken down on Friday through Sunday of the actual recruitment. The banners will be allowed to be redisplayed for bid day. Scheeler said she anticipates these modifications will improve the sorority recruitment experience and hopes they will be in effect for many years to come.